Located at junction of US highway 12 (Minnesota Ave) and MN highway 29 (Church St). 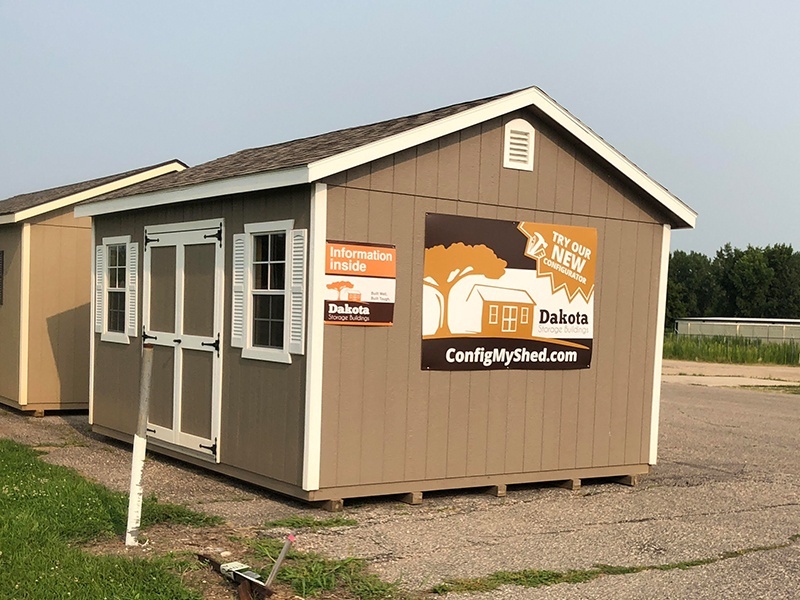 The display lot on 14th street in Benson usually has 5-6 sheds on site. The sheds are completely open for you to poke around in and investigate. 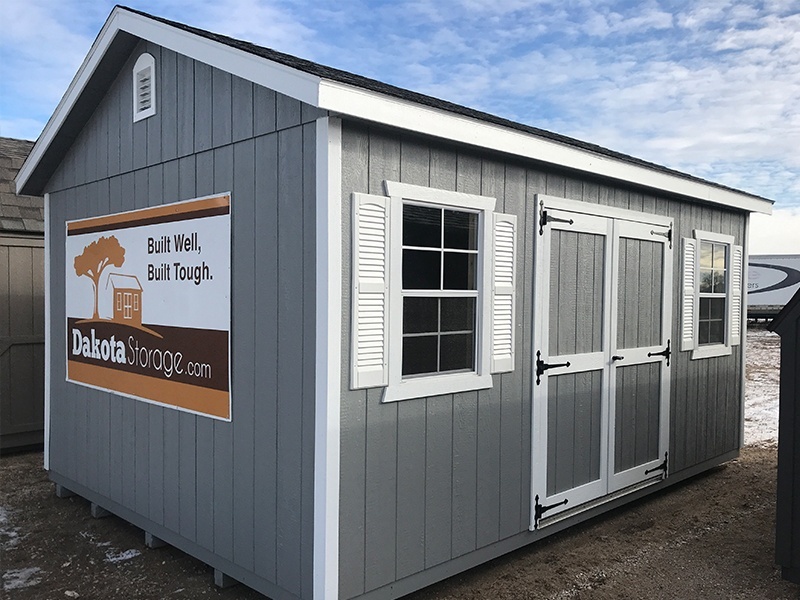 The lot has an information shed stocked with catalogs and information on how to order. Since this display is unattended, please call 320-322-0527 if you have questions or if you would like to set up an appointment to meet with a sales representative. 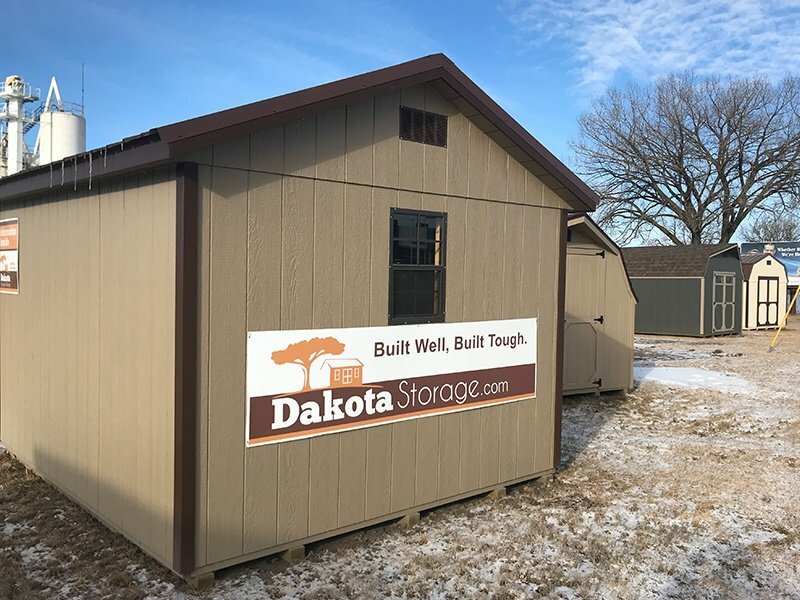 Check out your view of the storage shed lot for an idea of how to find our Benson, MN location. Benson is located alongside the Chippewa River and is a city in Swift County, MN. It's a big fishing spot, with nearly a dozen locations that our local favorites. There's also a big golfing community in the area. Check out the city of Benson's community calendar for things to do in the area. Call 888-832-6889 to find out more details about our discounted products!